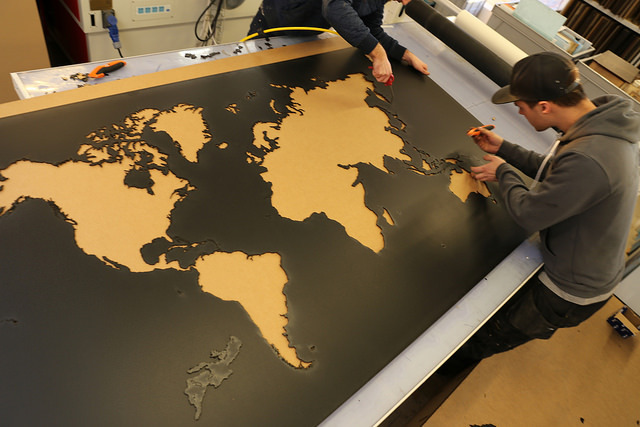 Laser cut world map made in 3mm MDF, which has been painted black afterwards. This version ended up being used as a meeting table. 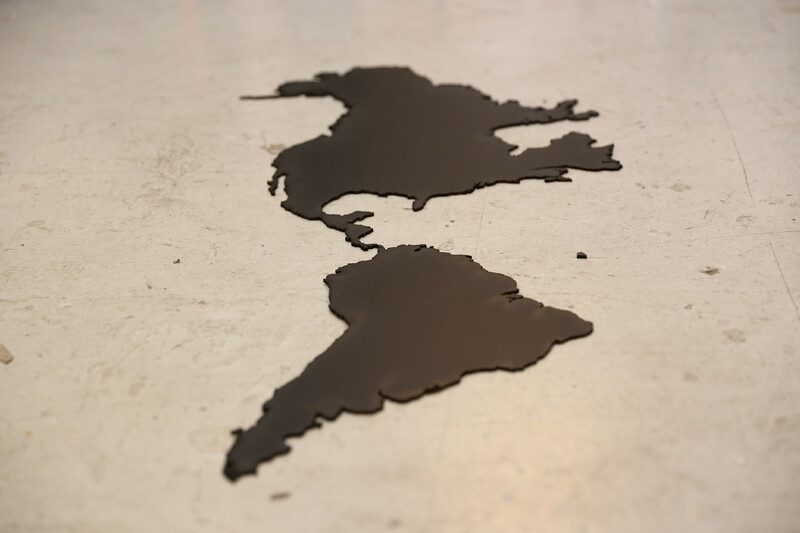 The world map was laid on top of a 5mm black acrylic plate and together they formed the tabletop. However, the world map is very versatile and can be used for many other things than a tabletop. For example, use the actual continents as wall decorations – customise it exactly as you like to suit your needs.